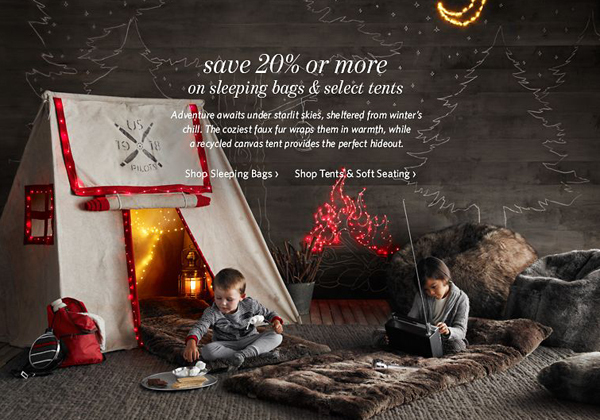 I recently discovered that Restoration Hardware has a baby and kids' line. I know, I know...what rock have I been hiding under? But, I am so glad I made this discovery because their styling is amazing! I am so inspired by all of the kids room, I wish I was a kid again! Take a look at some of their site! Here are a few of my favorite rooms. I love all the details in the bedroom below. 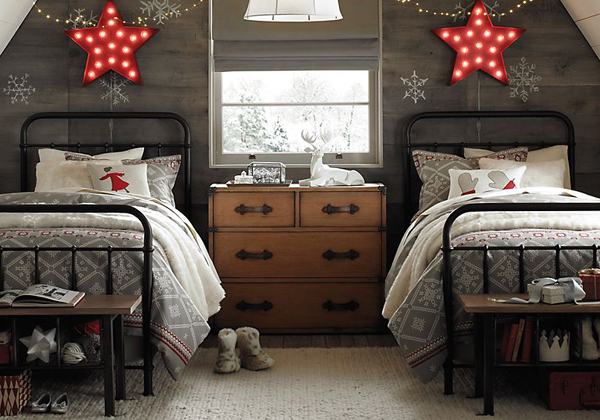 The twinkle light and the rustic dresser add such a great feel! Who would not want this room in their house. I would definitely love this indoor camping room. How cute is it with all the stars and moon and even campfire made out of lights! I am in love with this space!